Sadhu Sundar Selvaraj shared a warning last week regarding a coming treaty that will be signed by leaders from all the world’s religions in the year 2020. 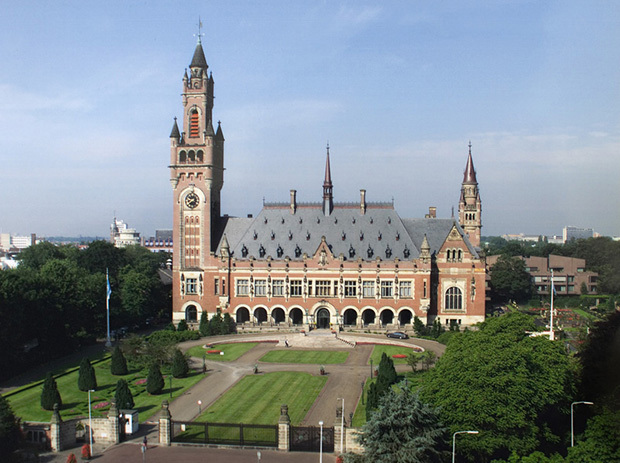 He does not identify the source for this claim, whether it came be revelation or through a news source, but he identifies the meeting will be held in the Peace Palace, which is also known as the International Court of Justice, located in the Hague, in Holland, as shown in the photo above. “In the year 2020, all the religions in the world are going to sign a treaty. It was the Pope who initiated this. The Pope is the reason behind this. All the top religions in the world, like the leader of Buddhism, Dalai Lama, the leaders of Hinduism, the leaders of Christianity, the leaders of Islam, and the leaders of the Jewish religion have said that it is good. So, in the year 2020, there is a city called the Hague in the country of Holland. There is a palace called the Peace Palace. It is there that the different religious leaders are going to meet in the conference and sign this treaty. They have planned to unite all the religions and have it as one religion for the entire world. Even 2000 years ago, it was said in the book of Revelation chapter 13 that such things will come to pass. Sundar identifies the Pope is the one leading this push for a one-world religion, which is consistent with what he has done since taking office March 13, 2013 and consistent with the role of the Roman Catholic Church for the past two thousand years. Sundar then explains how fast our world is changing through changes already being made to laws in many nations. The Bible warns all these things will come to pass during the generation of the Lord’s return. The fulfillment of those ancient prophecies should be a wake up call to everyone, letting us know the time of His return is near. This is sad but alas it must come to pass. It is necessary that some official declaration be declared among religions. Prophecy is definitely speeding up and all things written in the book will quickly come to pass. The road ahead of us is going to fork. One direction will lead to compromise and apostasy and a temporary quest for a false peace and the other road will lead to truth and glory and persecution. Choose you this day! Everything is about to change. Here is the web address of the news article from the Peace Palace. It’s happening in June 2020. I can see how countries that have had a history of religious violence and intolerance are going to see this as an opportunity to unite their citizenry. India has seen its share of such. Patriotic movies have tried to address the violence and intolerance by pointing to a “higher” ideal: the ideal that all citizens of the country—irrespective of color, caste, creed, or anything else—are truly still citizens of the country. 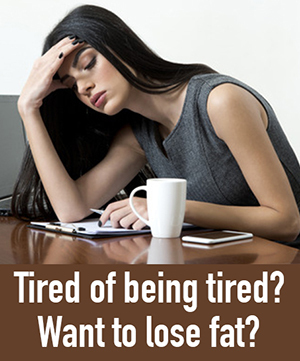 It appears that the enemy has been carrying out his strategy in two broad phases. Phase 1 has been to mix light and darkness in varying proportions to create different flavors of darkness to appeal to specific groups of people and divide them, even in hostility, along the lines of these dark flavors. Phase 2 is to then preach to all these different groups of people that in order to progress to a better future, unity among them is essential and that such a unity is possible because the differences that have divided them are superficial at best. Well, it is not a very ingenious strategy, for the body of Christ is something similar: one body with many parts with each part fitly joined to the rest of the body in accordance with the Lord’s will so that the entire body functions perfectly as a whole. The body of Christ is also progressing to a better future, but we are relying on our Heavenly Father to do it His way. And we know who wins the day. Be encouraged, brothers and sisters in Christ! There is a global organization tasked with this effort; “960 Cooperation Circles Working in 108 Countries” – http://www.uri.org. Based out of San Francisco. WE have to be lovers of Truth and align ourselves wholly to Him who is the Truth, no matter the cost. What fellowship can light have with darkness. One can’t partake of the cup of demons and the cup of the Lord, so once this is in place, anyone who is a Believer who partakes of communion given by one of the churches who are a par tof this pact, will drink judgement upon themselves, and demonic invasion of their homes and bodies will result. There will be no more opportunity to sit on the fence. God will separate fully light and darkness and there will be a great falling away of believers who are willing to drink the cup of abominations offered by this whore of Babylon. This is absolutely shocking.I have known for awhile now about the popes evil intentions and how evangelical leaders are being drawn into this massive deception of the one world religion. The timing of this is incredible because just recently I have lovingly warned my senior Pastor about a certain man who is scheduled to speak at our conference in April.Let me explain,We have a New Zealand and beyond conference in April in a huge stadium with thousands of people coming from all different churches to listen to different speakers,3 of which are from outside our church.Well,out of interest only at first,I searched out on google information about these speakers and to my horror one of them and his team are getting cosy with the pope.Actually this particular man says that he is all in with the pope.I heard the part of the sermon of his where he said it.So as an intercesor and watchman I have mentioned this to my oversight team.The ball is in their courts now and I feel I have done what God wanted me to do.All i can do is pray now. It was only yesterday that I handed the Pastor this final written information and now today I read this post,incredible timing.This is certainly confirmation from God that I have acted in obedience.Perhapes we could pray against this as God leads. God bless you for your obedience as a watchmen, there are those who would side with this pope and fall for his smooth rhetoric, much like those people who fell for and sided with Obama. For those still trusting in this Jesuit pope, why dont you check out the history of the Jesuits, a group with a very strange nefarious past. To me, even the word Jesuit, sounds like a perverted twist on the blessed name of Jesus. Has anyone heard of the pact already in place called ECT, Evangelicals and Catholics Together? If Sundar’s info is correct, this confirms the belief that the real Roman Catholic agenda set under this Pope is to unite all the religions of the world under the Roman Catholic banner. David Wilkerson even mentioned something called “SuperChurch” I believe he said would be instituted by the Roman Catholics.